Want to write a book review about your favorite book! Learn how to write a book review and publish your review to Destiny Quest! 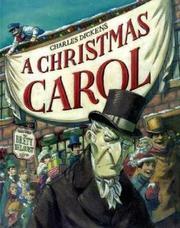 Marley was dead and Scrooge would never see him again – or so he thought. that if he continues with his sinister ways, he will remain greedy, selfish, and lonely. This classic tale, adapted by Josh Greenhut and illustrated by Brett Helquist, brilliantly illustrates the meaning of the Christmas spirit and that even the most unpleasant people can have a change of heart.